1. 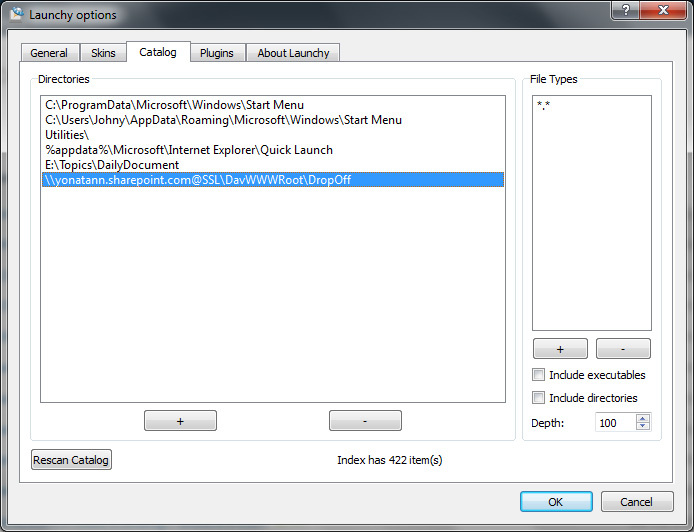 Launchy – is a free desktop tool to help you open programs and local documents with few keystrokes. Although its not a SharePoint tool – a little tweak can do the magic and connect our SharePoint documents with this useful tool. Ever been frustrated with the amount of clicks which is required to reach your documents library? With Launchy you can start typing the name of your document (even if the document is stored in SharePoint Online (Office 365) and a list of result will appear immediately, just click on the document name and it will open right away. Of course this is not the right tool for advanced search or metadata navigation, but frankly – most of the time we know the name of the document we are seeking. 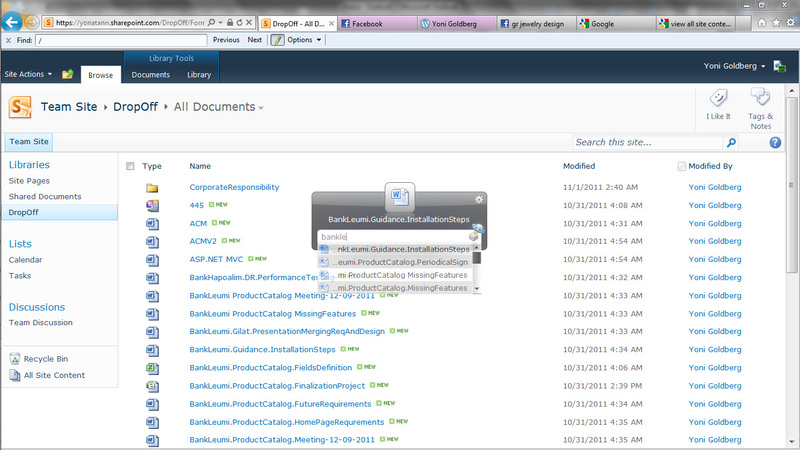 To enjoy this facility simply install Launchy, go to Launchy settings and add your SharePoint library to the catalog. The trick here is to add the WebDav address (e.g. \\SiteName@SSL\DavWWWRoot\LibraryName) of your document library (this makes Launchy treat your library as a local window folder) , that’s all. 2. I believe that the average SharePoint user/developer is moving his mouse toward tha ‘Site Actions’ arrow dozens time a day. The same thing can be said about the “View All Site Content” link. 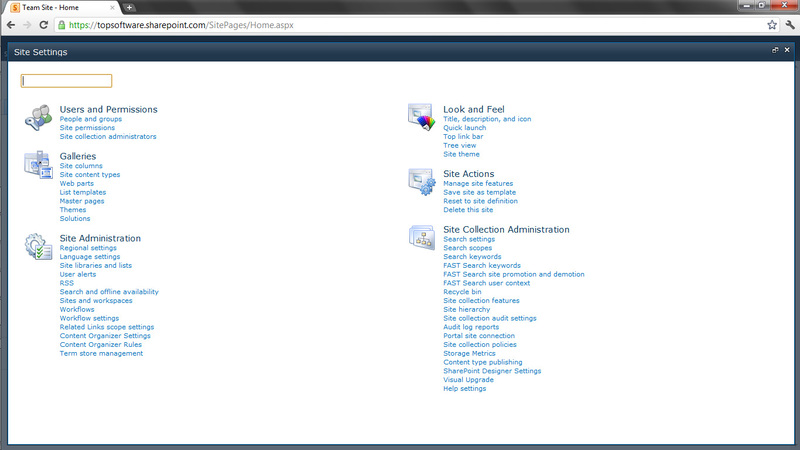 Did you know that you can simply press Alt+”/” and then Enter to open the Site Actions menu? 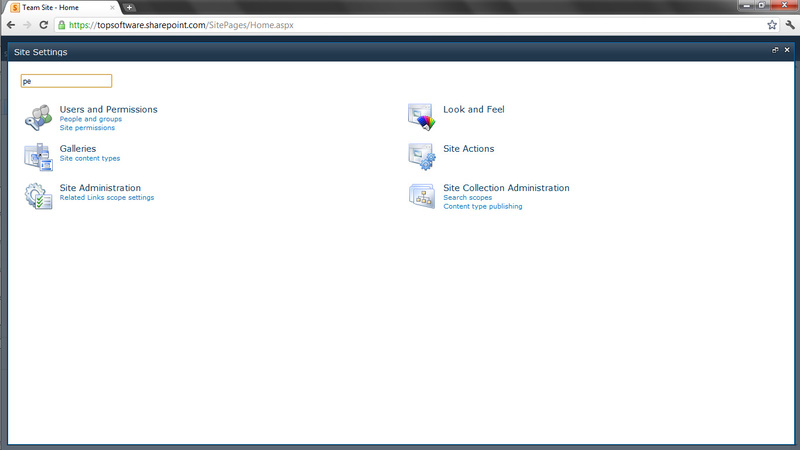 Or press Alt + “3” and then Enter to open the “View All Site Content”? 3. If you want to take keystrokes productivity further, consider downloading this impressive CodePlex tool – “InlineSiteSettings“. After installing the WSP package, from within any SharePoint page you can click Ctrl + “S” and a windows with all the Site Settings links will pop – inside the window you can filter and find the desired settings page by typing in a filter box.